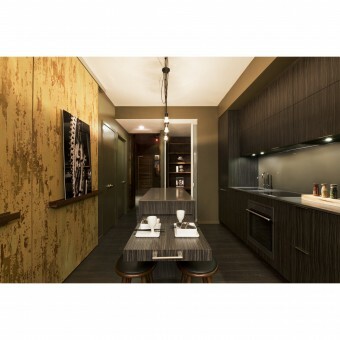 The interior-design concept for The High Park model suite is driven by an understanding of the project as a unique community, rooted in the timeless, eclectic character of the High Park / Bloor West Village neighbourhood in West End Toronto. The vocabulary throughout the model embodies a fusion of old and new, with textured materials and nostalgic found-objects paired with contemporary finishes. The model floor plan is crafted for design-savvy homeowners who truly appreciate well laid-out, open-concept living spaces, in which they can layer in their individuality. This condominium model suite for The High Park is designed to appeal to individualistic, design-savvy homebuyers. It is driven by an understanding of the project’s enviable site, in the heart of bohemian West End Toronto. The 53.5 m² model – re-creating an actual condominium floor plan – showcases a very extensive program within limited floor space, including a live–cook–dine area, den, bedroom, bath and abundant storage. The model is enveloped in a warm and highly-tactile fusion of old and new, with reclaimed woods, found objects and character pieces blending seamlessly with contemporary finishes, textured metals and upholstered walls. 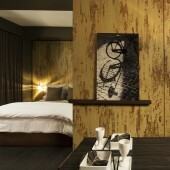 Distressed, stripped paint covers a principal wall, sliding partition and millwork backdrop in the sleep area. Sliding doors are employed to expand space and keep views clear. Doors to bathrooms and laundry rooms are kept away from principle areas and concealed wherever possible. A primary sliding door – with rail that functions both as handle and ledge for artwork – serves as an extended, moveable “wall” between the sleep and living areas. 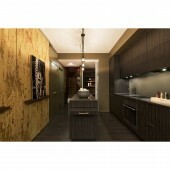 The custom kitchen island incorporates a dining surface that extends by more than a meter, fully cantilevered. Specially-designed hardware sustains the weight of the extension, allowing for unencumbered seating arrangements. 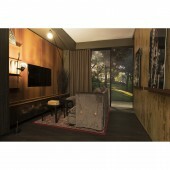 The High Park Condominium Model Suite by Cecconi Simone is a Nominee in Interior Space and Exhibition Design Category. The High Park Condominium Model Suite by Cecconi Simone is Winner in Interior Space and Exhibition Design Category, 2013 - 2014. Did you like The High Park Condominium Model Suite? Help us create a global awareness for good interior design worldwide. 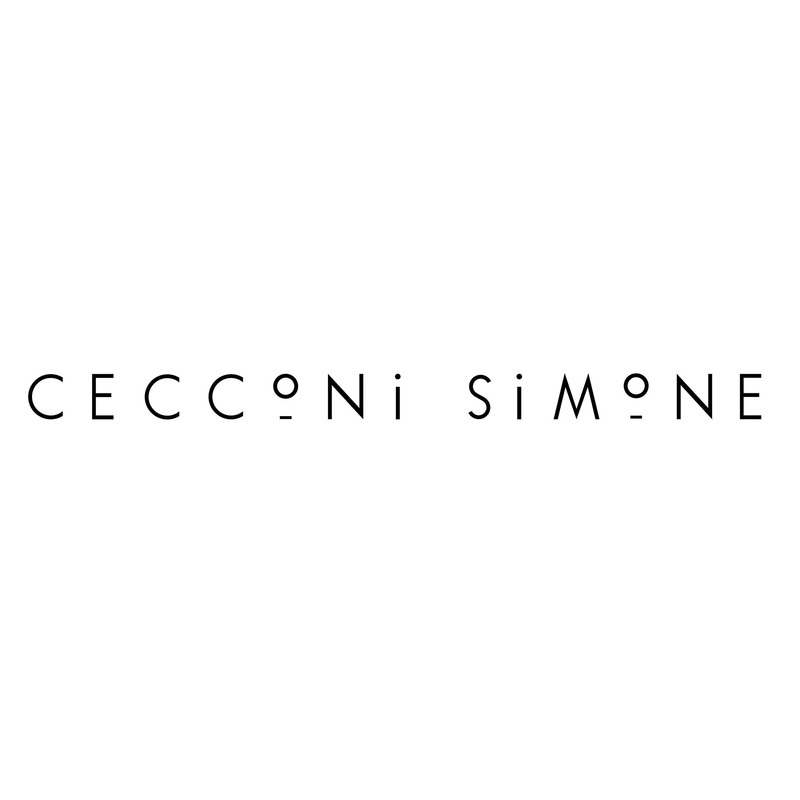 Show your support for Cecconi Simone, the creator of great interior design by gifting them a nomination ticket so that we could promote more of their great interior designs.